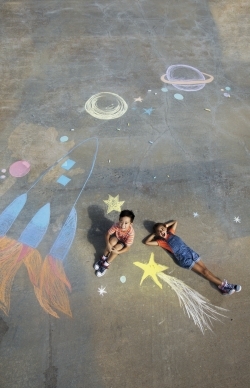 A typical day offers a wide range of activities that encourage learning and creativity to meet the needs of every child. 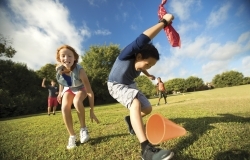 Campers participate in Instructional and Free Swim, exercise through Sports and Games, share experiences in Activity/Choice Time, and of course, take a break for Lunch. 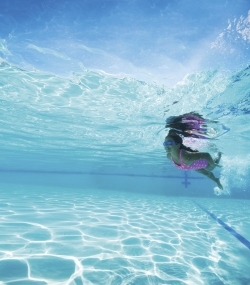 Campers in our Specialty Camps participate in Free Swim, Instructional Swim, and Lunch, along with their specialty of choice. Campers improve their skills with an in depth look to become the best Artist, Performer, Chef, Scientist, or Athlete they can be! Impactful, adventurous field trips, on-site educational assemblies, and jam-packed Fun Fridays, help expand and round out the Camp Wydaca experience. Send with them labeled with their name, along with labeled water bottles. We’re Hiring for....Our Counselor Team! We are looking for Counselors who are reliable, personable, enthusiastic, and has a love for outdoor activities and working with children. Click on the age you are looking for to view all of the Summer 2019 offerings. Q & A, Confirmation Packets, and Camp T-Shirts will be distributed. Choose one meeting to attend. Traditional Gr.1 & 2 and Specialty Camps Gr. 1 & 2 Please have Campers get out on PASSENGER Side. Kindergarten, Good To Go, and Teen Scene Please have Campers get out on DRIVER Side. Traditional Gr. 3 -5 and Specialty Camps Gr. 3 - 5 Please have Campers get out on DRIVER Side. Kindergarten, 1st & 2nd Grade Traditional, 1st & 2nd Specialties, Good to Go, & Teen Scene will continue entering YMCA property via Wyckoff Avenue and follow traffic pattern around building. NEW! Grades 3-5 Traditional and Grades 3-5 Specialties or Parents with multiple camper drop offs (meaning having different corrals) will now enter via Charles Avenue as you would normally do and be merged into YMCA Parking Lot by YMCA Staff. Thank you, we appreciate in advance your cooperation, patience, and continued support. Is your CampDoc 100% Complete? 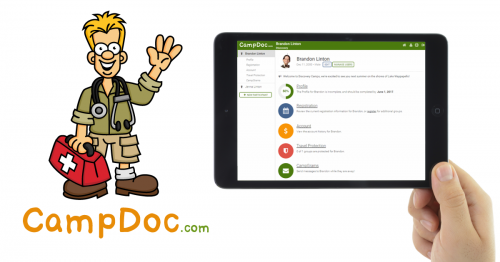 NO Camper can Begin/Attend Camp without a FULLY completed (100%) CampDoc. 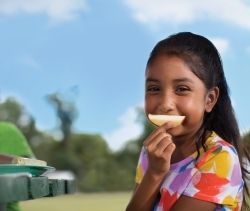 Join our Camp Lunch Program! Registration for Lunch Program opens in 2019. 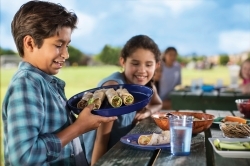 Each Friday, campers enjoy an All Camp Lunch provided by Camp Wydaca. Menu will be released in 2019. If your child does not prefer the items on the menu for that day, please send your child with an alternate lunch. Each day children have the opportunity to bring some small change to purchase a healthy (some candy options) snack from our Snack Stand by the Lake. Please review options and pricing below, so you are aware of the options. Feel free to send specific amount (No more than $5.00 please) in a ziplock bag and labeled with Camper's Name. Counselor will take their order during Morning Drop Off and deliver throughout the day. If you have any additional questions, feel free to reach out to your Grade Camp Director. Wyckoff Family YMCA in ACTION! The Wyckoff Family YMCA Sharks Swim Team’s 35 volunteers have been providing swim lessons to our Oasis campers for almost 10 years. This special group of campers join us from Oasis, a Haven for Women and children of Paterson New Jersey. 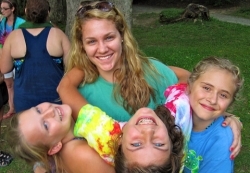 The Y has welcomed these children for over 13 summers at no cost to the families. The Learn to Swim program the YMCA uses was developed by USA Swimming in conjunction with Olympian’s Cullen Jones’ Make a Splash campaign. With accidental death by drowning being the number two cause of death for children in the United States, Coach Ken believes the Sharks are offering a life skill with a healthy respect for the water in a fun filled environment. The Wyckoff Family YMCA is grateful to the Stew Leonard III Children’s Charities and their grant which helped expand and strengthen this program.